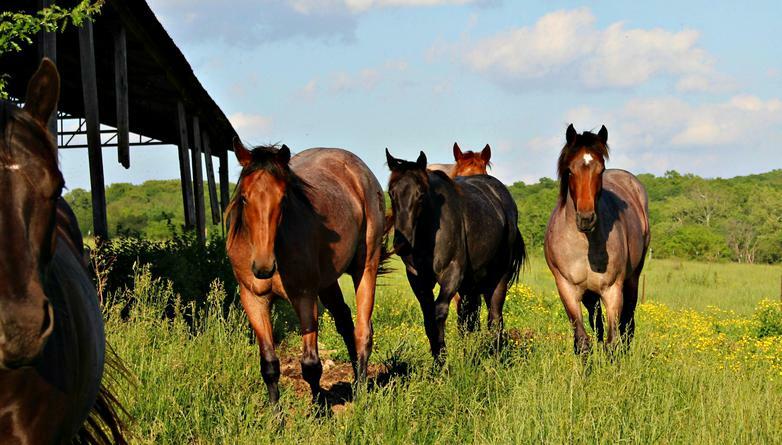 ​Our horse and cattle ranch is located in the beautiful Missouri Ozarks. We breed and raise quarter horses that are as athletic as they are beautiful. Our breeding program includes foundation bloodlines of Blue Valentine and Joe Hancock. But also add a little speed with some of our lines for some crossover colts. Our intent is to produce colts that will become working cow horses or your next rodeo prospect; strong, rugged and built for whatever you throw at them and with the minds to handle it. A horse that will be a champion at any discipline; just like the foundation horses that were bred and built years ago. Our colts have great minds and disposition. They are easily recognized by their big bone, big hip, and roan color. You can tell a true cowboy by the type of horse that he rides.